You can usually find out a lot of information for either officers or other ranks who served in the Foot Guards during the First World War. The service records of those who served in the Foot Guards were stored separately from the War Office warehouse which caught fire during the Blitz, so have, for the most part, survived to the present day. Also, there are a lot of good war diaries and regimental histories which are readily available online. For more information about researching soldiers who served in the Foot Guards and how to order their service records click on the relevant regiment above. 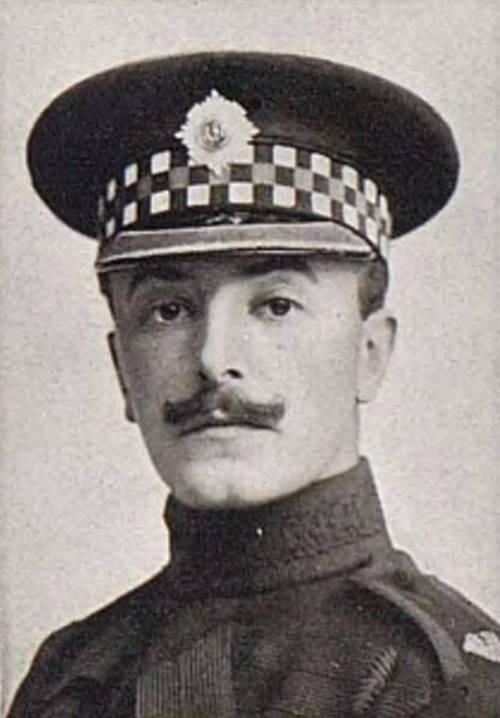 Captain Sir Edward Hulse, 2nd Battalion Scots Guards who was killed in action at Neuve Chapelle on 12 March 1915. After Hulse’s death, letters he had written during the war were published posthumously as Letters Written from the Front in France Between September 1914 and March 1915. This book is available to download and view online for free by clicking on the book’s title. Sir Edward has a service record at the National Archives and this is the key document to get hold of if you wanted to research him.